Leave you looking and feeling your best – all over! Zama clients love our Men’s Wellness Package. This custom made experience for men is an absolute favorite! Made just for him, this package will melt away tension, relieve aches and pains, and renew you from head to toe. The Men’s Wellness package includes a 30 minute foot soak, scrub and massage, a 90 minute Deep Tissue Massage, and a 30 minute Just for Him Organic Custom Facial. This package is exactly what you need when you are feeling tensed or stressed. The Men’s Wellness Package will begin with focusing on your hard working feet. We will warm your feet in a eucalyptus foot soak followed by a peppermint and eucalyptus foot scrub to refresh and regenerate. Once your feet are rinsed off, we will massage them using our own peppermint healing cream. Your feet and mind will feel refreshed, relaxed, and ready for the next step of your treatment. During this foot treatment you will enjoy a local Portland brew! The next service includes a 90 minute Deep Tissue Massage by one of our skilled licensed massage therapists. We will take care of you and address areas of concern, and help alleviate pain, stress, and tension. The final touch of the Men’s Wellness Package: our 30 minute Just For Him Organic Custom Facial. This facial will address issues that often result from daily shaving and the use of harsh soaps. We will teach you some tricks for dealing with those pesky ingrown hairs! This facial also includes a steam treatment. As the warm steam softens your pores and prepares your face to receive the rich treatment and ingredients from Eminence, the steam stimulates blood circulation to the face allowing your skin to look refreshed. The warm steam also allows for deep cleansing resulting in softened, hydrated and rejuvenated skin. Fin ally, to complete your experience, you will receive some extra massage on the shoulders, neck and face. Learn more about men’s skin care on the Zama News page. 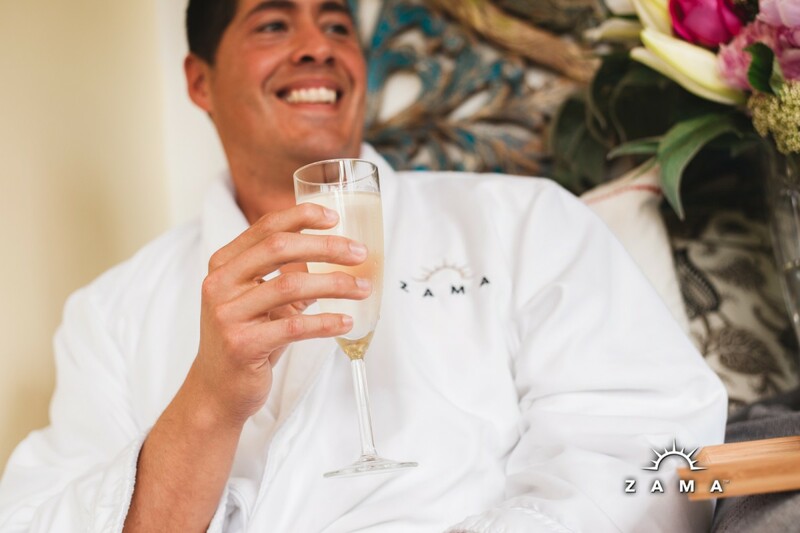 We want everyone to know that MEN are welcome Spa Guests and at Zama Massage Therapeutic Spa we will make you feel right at home! You will love this experience! Purchase a Gift Certificate Online Here!